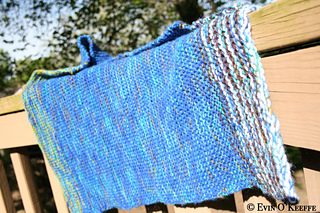 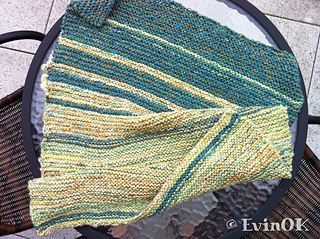 blanket project is knit with different washable yarns, making the result completely unique. 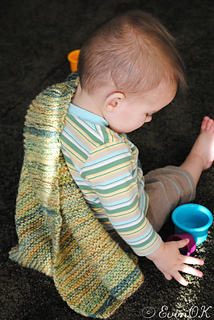 Garter stitch provides a warm light layer for baby. 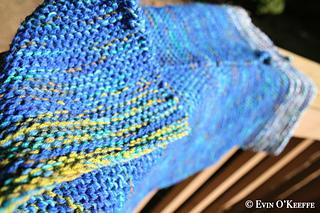 The sock yarn should be variegated in colour while the DK should be a solid color coordinating with a hue in the sock yarn. 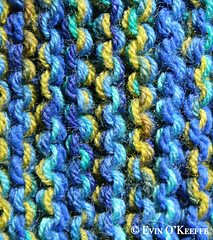 A gender neutral example would be choosing a butter, sage, peach, or teal sock yarn and having the DK yarn be sage green.